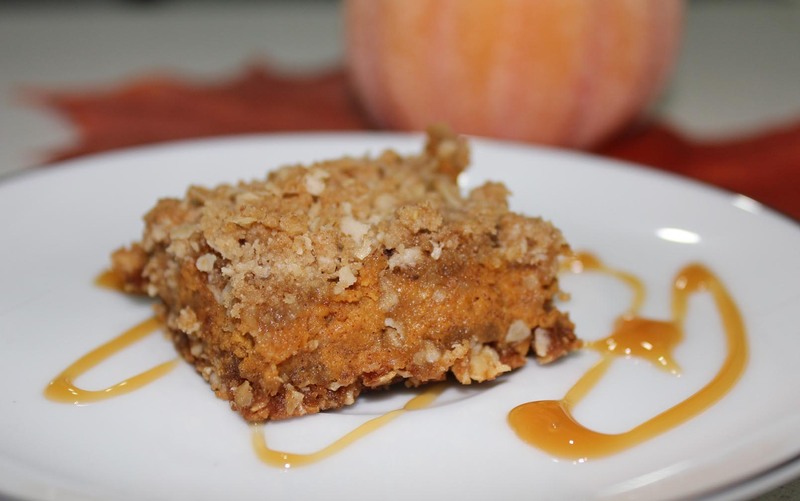 The other day I had a craving for pumpkin cheesecake which somehow morphed into the idea of pumpkin cheesecake bars which turned into pumpkin cheesecake bars with crumb topping. Unable to find a recipe I liked, I made up my own. 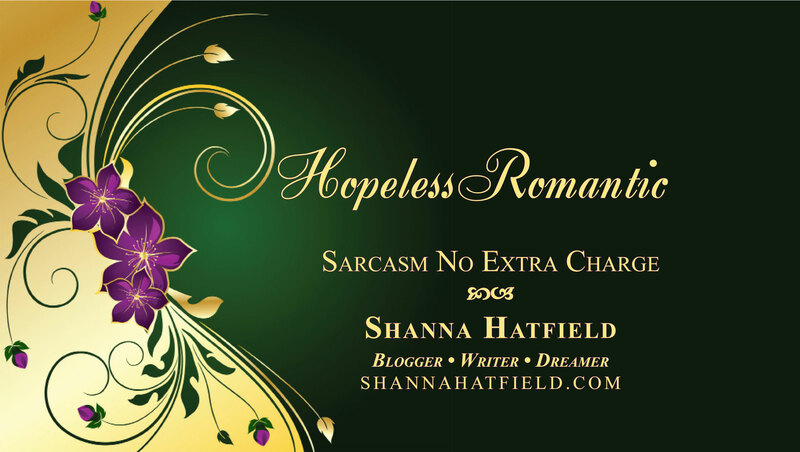 It actually turned out pretty good, or at least that is what the taste testers told me. Some asked for seconds, but I only brought a limited few to work. Sorry guys! Next time there is taste testing to be done, I’ll make sure I bring extra samples! 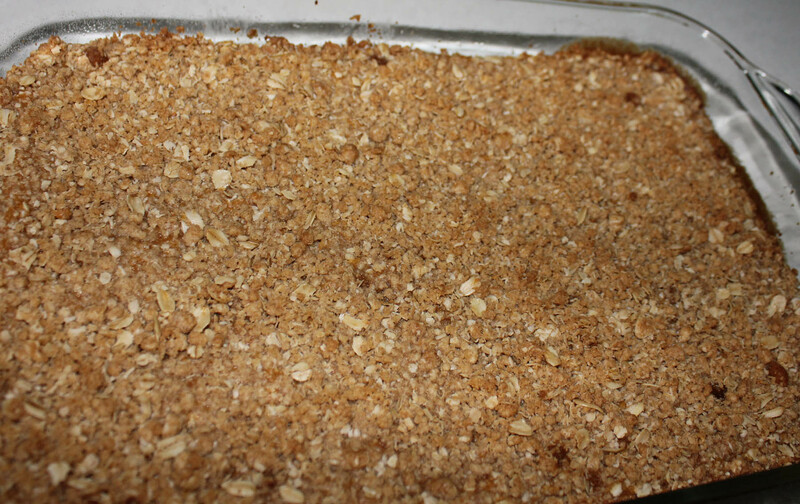 Crumb mixture in the pan. Press in lightly. 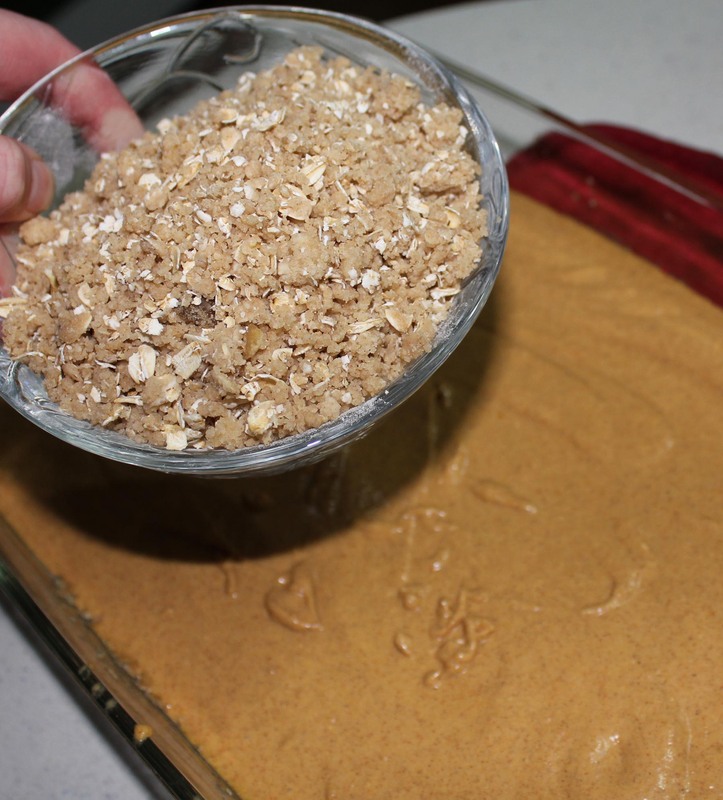 Mix up the pumpkin filling. Pour filling over cooked crust. When cool, cut into bars. Serve immediately or refrigerate for up to two days - if they last that long. 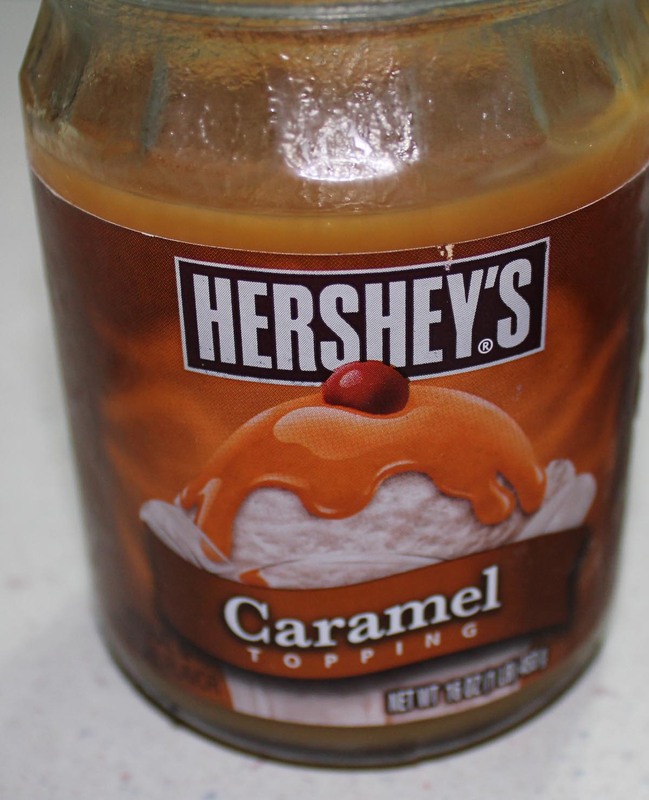 If you want to make these even better, drizzle on a little (or a lot) of caramel sauce. Then enjoy! Sharing is optional. 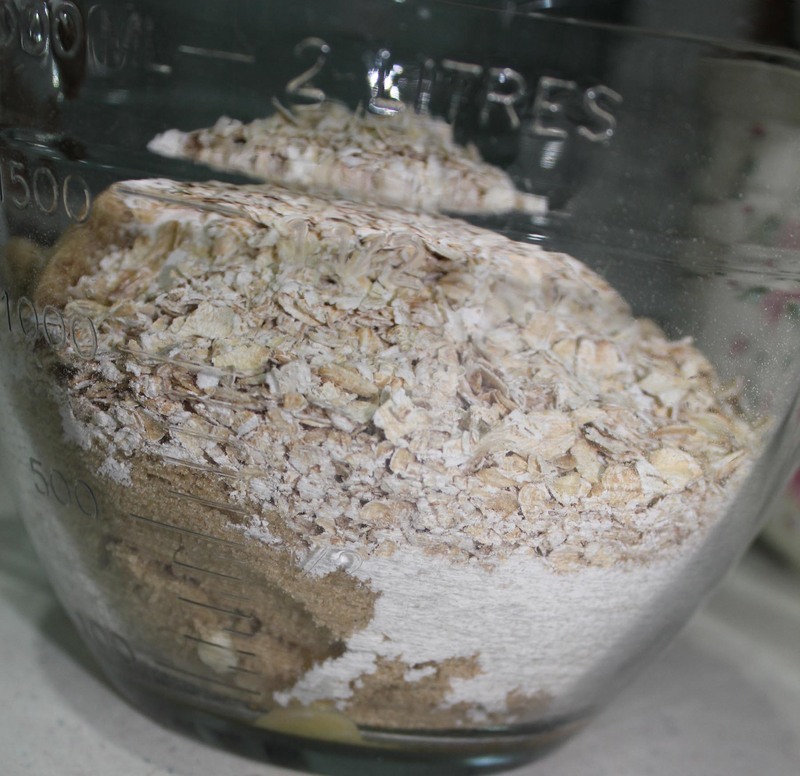 Combine oats, flour, brown sugar, salt, baking soda, and butter. 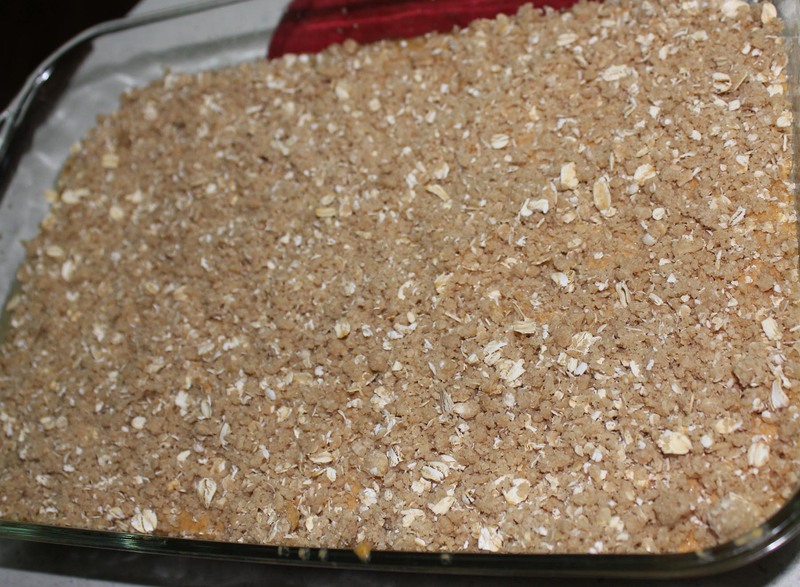 Beat until mixture is crumbly. 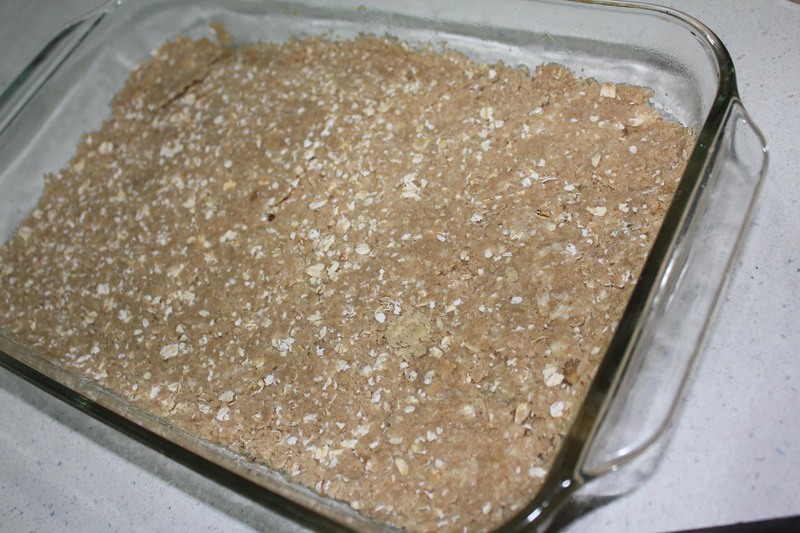 Reserve 1 1/2 cups of the crumb mixture, pressing the remaining mixture into a greased 13 x 9 x 2- inch baking pan. Bake for 10 minutes. 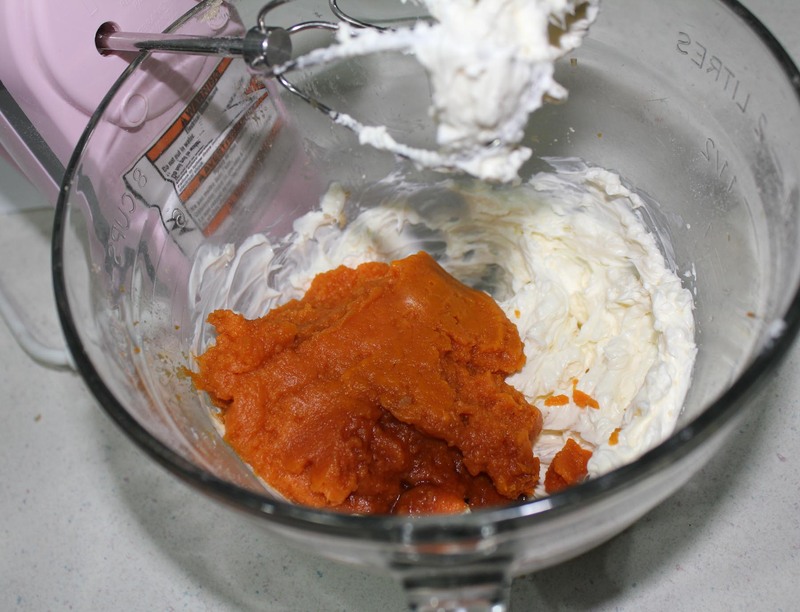 Mix cream cheese, pumpkin pie filling, sugar, egg, and cinnamon. Beat until well blended and smooth. Spread filling over hot crust then top with remaining crumb mixture. Return to oven and bake 25 minutes. Cool and cut into bars. 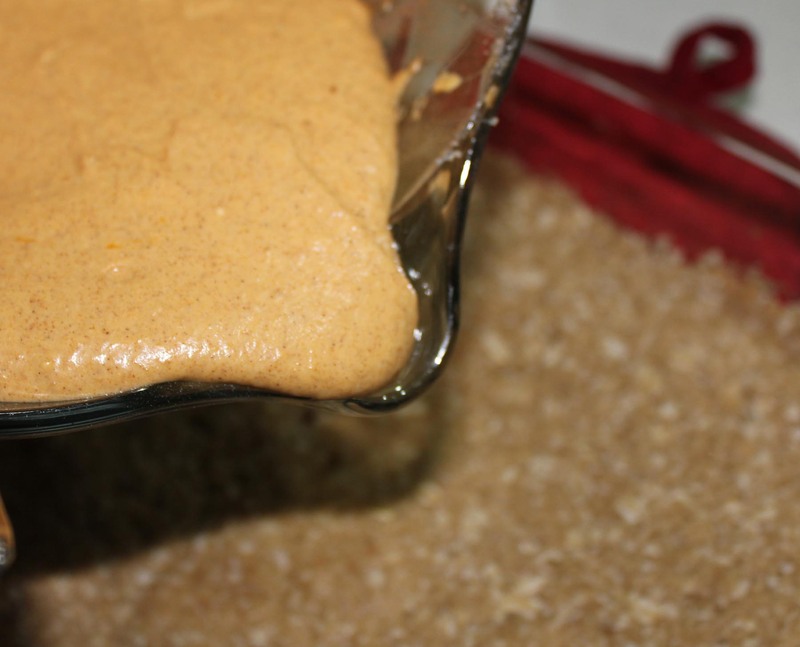 You can make this a couple days ahead of time but keep refrigerated until ready to serve. If you want to get wild and crazy, drizzle the tops of the bars with caramel or chocolate sauce, or both. Also, try serving bars with Dulce de Leche ice cream. See if that doesn’t make you melt in a puddle. Note – if you like nuts, you can add 1/2 cup of finely chopped pecan to the crust mixture. 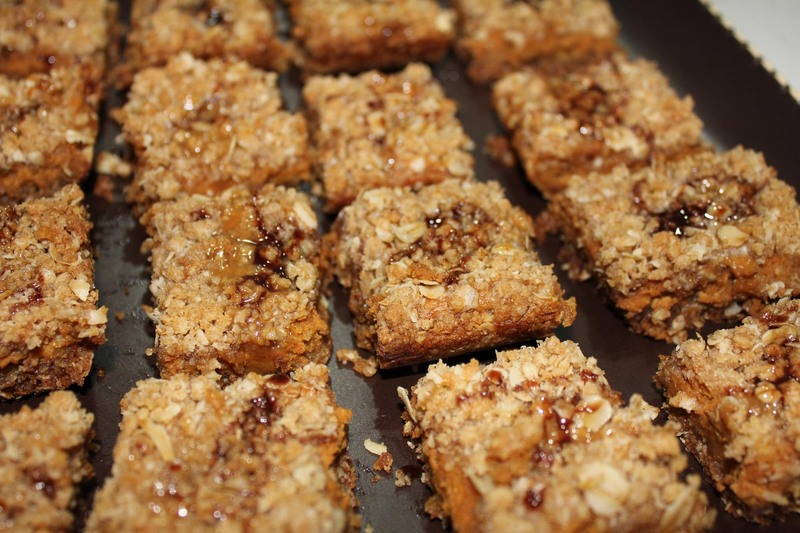 You could also put toasted pecan halves on top of each bar before you drizzle with caramel.